The IT system expansion benefited key government services, including the online emergency reporting system, the online tax collection system, remote monitoring, and expanded the CIOSP system. The expanded network now serves 100% of the population with connectivity, including 170,000 student on the SIGA System, and 192,000 student with IT Labs Distance Education. Additionally, a new system for hospital administration and telemedecine exams provide tremendous improvement. The success of this project has increased the efficiency of public administrators, created jobs, and has grown the economy. Through the enhanced use of digital resources, companies have increased productivity, and can be more competitive. 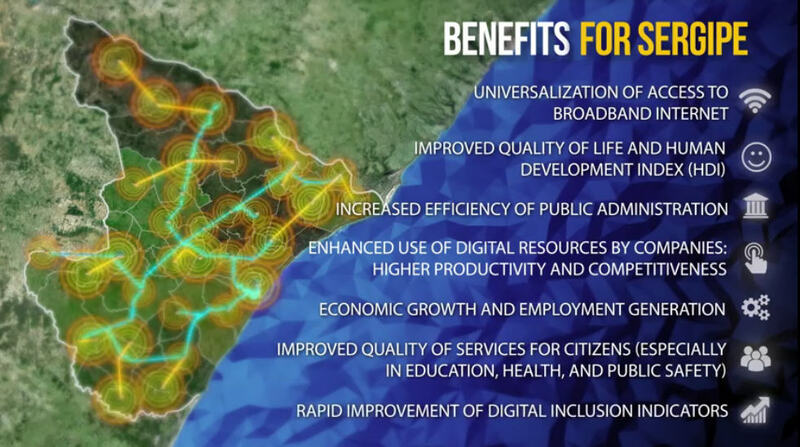 All of this came at a development cost of just $4USD per person in the state, with connectivity costs being reduced by up to 70%. What a bargain for such an improvement to the quality of life and the quality of services for Sergipe! There are many compelling reasons to lease equipment. Implementing a leasing strategy provides benefits that both CIOs and CFOs can agree upon. PTS will help craft a turnkey leasing solution for your business, including Planning, Design, Sourcing, Construction, Commissioning, and IT Implementation. We will help establish scope and budget from an IT and Facility standpoint. PTS are also licensed architects and engineers, so we are able to convert our conceptual plans over to signed and sealed design documents. In addition, PTS are general contractors with lots of experience building tenant space computer rooms, and PTS can handle all the rest, including: A/V, communications, and wireless. 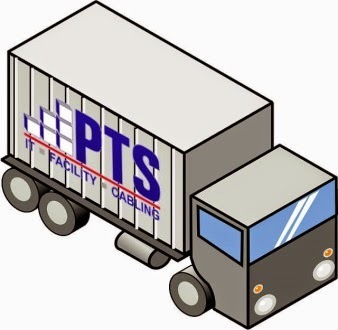 PTS' Smart Open Lease plan offers a single flexible financial vehicle that can include Equipment and Services across IT, Facility, and Cabling. We offer delayed repayment options coordinated with design and construction. PTS’s Smart Open Lease allows businesses to get the exact data center they want, with NO upfront costs. PTS will allow you up to six (6) months to accumulate bills and apply them toward your previously approved “open” lease, so you won't have to pay upfront for any capital expenditures for planning, design, construction management, or commissioning. You won't even have to lay out cash for any new IT infrastructure (routers, switches, servers, storage, etc), or new facility infrastructure (generators, UPSs, air conditioners, cabinets, power strips, etc). Clients don't even have to use cash for the labor (IT implementation, electrical construction, mechanical construction, data cabling, etc). Regardless of the size of the data center, the right mix of IT, power and cooling equipment, and how that equipment is integrated into the facilities, is key to maximizing efficiency and providing the flexibility to expand as needed. Successful integration of equipment into data centers depends on finding the right companies with site preparation, design, construction and management expertise. Those organizations also need to be able to quickly turn the new facilities over to customers and help manage the transition. What is a "Smart Cable"? Smart Cables are standard power cables with low profile embedded wireless network power monitors. Deploying a Smart Cable network is more affordable than you may think. Adding a Smart Cable to your standard PDU often costs far less than many metered PDUs while providing all the functionality. Looking at the total cost of ownership, the Smart Cable scenario becomes more attractive as it has a single IP address and network drop per hundreds of PDUs eliminating the costs of network cables and maintaining a fleet of IP addresses. Also there are no network cable drops needed for Smart Cables. Monitoring also becomes much more affordable as there are no commission or programming costs associated with the Packet Power monitoring solution. Even when using the EMX monitoring portal, licensing fees are a fraction of that of conventional systems, or non-existent when only using the SNMP or ModBus data. Visit our Rackstuds Product Page for more information. Taneja Group ran Tintri VMstore storage through their hands-on validation lab and documented significant large factors of improvement over traditional storage. Those factors accrue through Tintri’s cost-effective acquisition, simplicity and ease of deployment and data migration, effective high performance and availability and smooth expansion over time. This Field Report validates their impressive lab findings: Tintri’s approach provides significantly lower TCO than traditional storage solutions. Glass Apps is the leading provider of Switchable Glass and Film, which changes from clear and opaque states on demand. For more than a decade, Glass Apps switchable glass technology has been utilized for commercial, data center, transportation, healthcare, government, and residential applications. Glass Apps Smart Glass is a laminated glass product consisting of a Polymer Dispersed Liquid Crystal (PDLC) film sandwiched between two layers of glass and two layers of conductive interlayers. This PDLC film is what allows you to change the visual appearance of the glass from opaque (translucent) to clear (transparent). "Tintri’s approach to VM- and application-aware storage is a game changer. It’s giving me a distinct advantage over all of the other cloud providers, and there are a myriad of them out there. With Tintri, we will be one of the first service providers with the ability to do multitenancy for VDI and DR, with a virtually optimized high IOPS array." Fashionistas aren't the only ones who have need to accessorize; sometimes data center managers rely on certain accessories that are designed to smooth a data center's daily operations, help things run more efficiently, and even extend the lifespan of their assets. Alongside the main components of a data center, there are other factors that need to be addressed to keep things running, including uninterruptible power, efficient cooling systems, and fire protection, to name a few. Beyond these mission-critical systems, there exists a variety of add-on products that serve specific needs that may apply to your situation. Use of these accessories may save you time, may save you money, and may even change the way you run your data center's daily operations. In any case, these, and other accessories, should be considered in all data centers. Tintri is a near "zero" management NFS storage solution built specifically to manage virtual environments for servers, desktops, test development, and production workloads. This means no LUN's, volumes, or tiers to manage. Tintri's file system is built from the ground up, allowing you to solve a lot of the complexities and inefficiencies traditional storage brings to the table.